Balance Sports Nutrition has long been regarded as a credible sports nutrition brand in both Australia and New Zealand. Balance has a vast range of products covering all aspects of sports nutrition including body building, endurance, or simply those who train for health and fitness. Balance range includes Balance Post-workout supplements which are extremely important to your performance. If you don't recover you won't perform well and may be prone to injury. 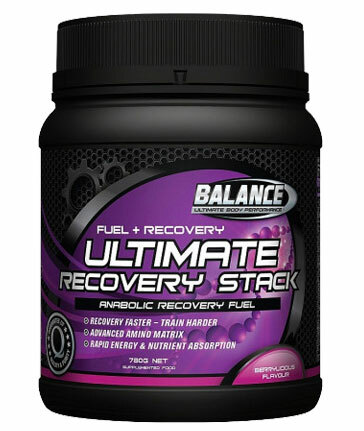 Balance Post-Workout Ultimate Recovery Stacks assist you to recover well and perform at your peak.